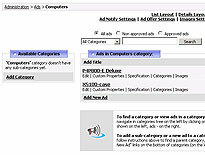 Select a pre-defined block: Events or News, Top Rated products or Special Offers, Login or Search. 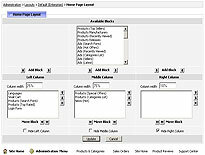 Change the column content, order and column size as required. When you have finished making your changes, click on the "Update" button; your new layout will instantly be updated on your site. Customising your site's layout has never been so easy! 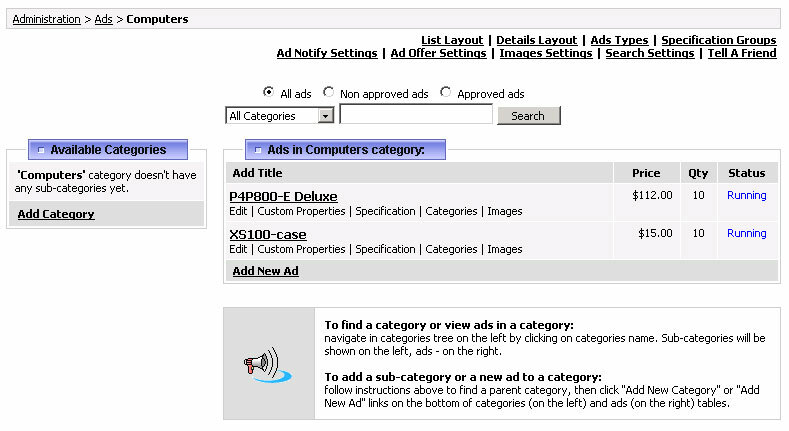 Let your site's visitors post their own adverts in the 'Classifieds' section. Registered users of your site can be given the facility to post their own adverts, complete with pictures; they can specify the length of time to run an advert; assign ads to specific categories and set the quantity, availability, location and price too. Classified Ads can even be set to require "Administrator Approval" before they are diaplayed, assuring you that undesirable content doesn't end up on your site. 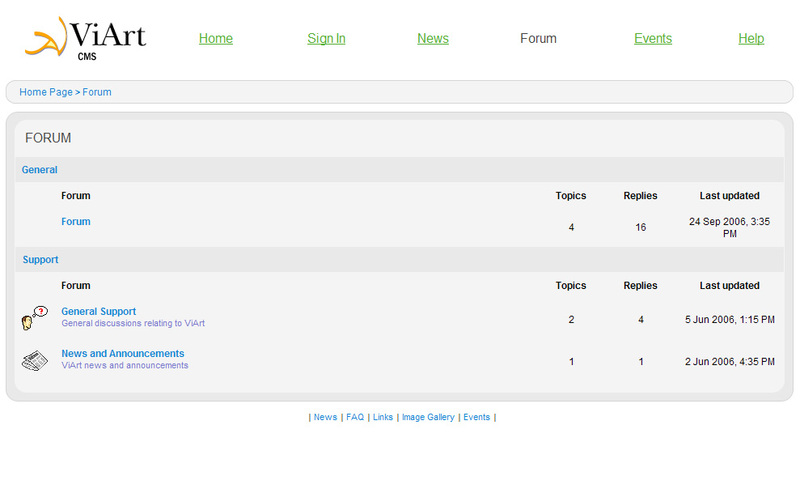 No web site would be complete without a forum: Post messages, manage and delete content, receive notification of new posts direct to your administrator account and more. 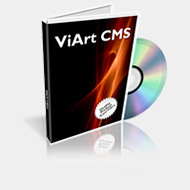 In short, ViArt is a fully featured web portal that's as flexible as it is feature-packed. 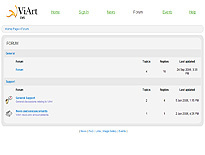 Creating an intuative, informative e-commerce portal with has never been easier.